Belize is an attractive jurisdiction to base an offshore company. The country has a very advantageous taxation regime and maintains a high degree of investor protection and anonymity. 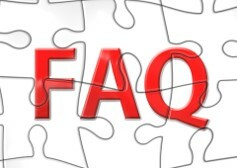 Find out what are the most frequently asked questions about Belize company formation. 1. What purposes does a Belize international company serve? - trading: this business structure, which, incidentally, is easy to manage and run in Belize, can be used as an intermediary for international sales or the distribution of goods, import/export purposes. - services company: a professional can use an offshore company for the purpose of providing his services, either consultancy services, design services or others, in a tax free environment. - investment company: a widely spread reason to open an offshore company, by working with a Belize offshore company, investors can pool private funds through a legal entity that accumulates the returns in the overall beneficial tax regime that is applicable in this jurisdiction. - IP rights holding company: the Belize offshore company can be used to hold (and therefore have the right to use) trademarks, patents and copyrights or other relevant know-how. Apart from these four purposes for an offshore company described herein, others would include shipping activities or holding purposes (an offshore company that holds shares in other companies in jurisdictions with higher tax regimes). 2. What are the advantages of an offshore company in Belize? - little to no reporting and auditing requirements. A high level of confidentiality is one of the primary reasons why investors choose to open an offshore company in Belize. Our agents detail this particular characteristic in the following questions. 3. Is Belize company formation subject to any restrictions? There are no restrictions. International investors are welcomed in Belize. 4. Can investors remain anonymous? Yes. No public filing is required during the Belize offshore company formation process and investors may use a nominee director service. This is a third-party director who will not be related to the beneficial owner and will be the one who is registered as the company director. His name, and not that of the beneficial owner, will appear on the incorporation documents. This is done in order to protect the identity of the beneficial owner, allowing for the highest level of confidentiality. The relationship between the nominee director and the beneficial owner is conducted according to a fiduciary agreement and the nominee has a series of fiduciary duties to act in good faith towards the actual company owner. The nominee director can be either an individual or a corporation that offers these types of services. 5. Is the beneficiary the same person as the shareholder? The beneficial owner is the actual owner of the shares while the nominee shareholder is the one in whose name the shares are issued. Like in the case of the nominee director, the nominee shareholder services can be offered either by a firm or an individual. You can talk more about this option with one of our agents who specialize in Belize company formation. 6. How can you open a Belize bank account? Opening a bank account in Belize is a simple process and one of our Belize company formation specialists can handle this step for you, upon request. The IBC is generally not delivered with a bank account when entrepreneurs choose to incorporate a company through a registration form or in those cases when they choose to buy a ready made company. This is usually an optional service and some types of companies, for example those used for holding assets, can continue their activities with no mandatory need for a bank account. We recommend that you explore these options according to the uses of the IBC. 7. Are there no taxes on offshore companies in Belize? No. The International Business Company Act of Belize stipulates that all income derived by a company incorporated under the Act is exempt from tax. To be more specific, a special Clause in the International Business Company Act called the “Exemption from tax” stipulates that all dividends, other distributions paid by a non-resident as well as income from interest, royalties, compensations and rent, capital gains (shares, debt obligations or other securities) are exempt from the provisions of the Income and Business Tax Act. 8. How long does it take to open an offshore company in Belize? Investors who open a company in Belize enjoy a fast-track process and they can operate their offshore business in just a matter of days. An expected incorporation time is 24 hours, however, this can differ according to whether or not additional documents are requested. The beneficial owners can help streamline the incorporation process by providing the needed documents as fast as possible, and in the manner in which they are requested. The owners are not required to travel to Belize for the incorporation procedures. The formation documents are to be signed by the licensed registered agent who will also help prepare the needed documents. Our team of Belize company registration agents will require a set of documents as well as information from those beneficial owners who are not present during the pre-incorporation and post-incorporation phase. This is a normal part of the process and it is regarded as a due diligence phase. 9. Can you buy a ready-made company in Belize? Yes. Investors who choose to buy a ready-made company enjoy an even faster company incorporation process. The shelf company is a legal entity that has already been incorporated as per the Belize requirements and has an assigned name. Although the incorporation process is a fast one, investors can still benefit from using a shelf company because it implies no ordinary decisions like choosing a company name. If this becomes mandatory in the future, a name change for a shelf company is possible and will include several costs. Our Belize offshore company formation specialists can give you more information about shelf companies and their advantages. 10. Is Belize a tax haven? Yes, Belize is considered a tax haven because offshore companies are tax exempt: this means that any income derived from international activities is not liable for taxation. We recommend you to contact our experts if you want to open an offshore company in Belize. Our agents can answer any other questions in detail and help you throughout the company formation process.